The heraldic badge of the Prince of Wales comprises three ostrich feathers in a coronet with a ribbon below bearing the German motto “Ich dien,” meaning “I serve.” While it is not displayed on the silk menu from the ball, the heraldic badge appears on the other menus from the dinners he attended. Saturday was another busy day. 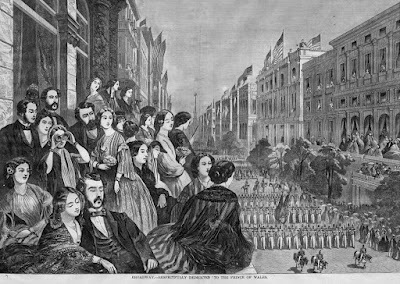 The royal party first went to Mathew Brady’s photography studio where they spent two to three hours having their pictures taken. Brady was given a large order with instructions to ship the photographs to England as soon as possible, and later that afternoon, received a note from one of the courtiers congratulating him on the success of his portrait of the prince. The royal party dined at the hotel again on Sunday. 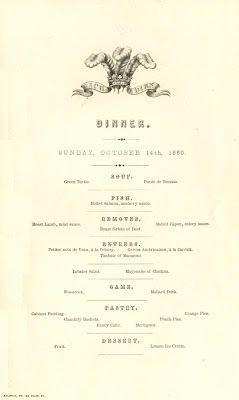 In addition to the fish course and usual roasts, this dinner features petites noix de veau, à la Coburg; grives (thrushes) Américaines, à la Carrick; and timbales of macaroni. 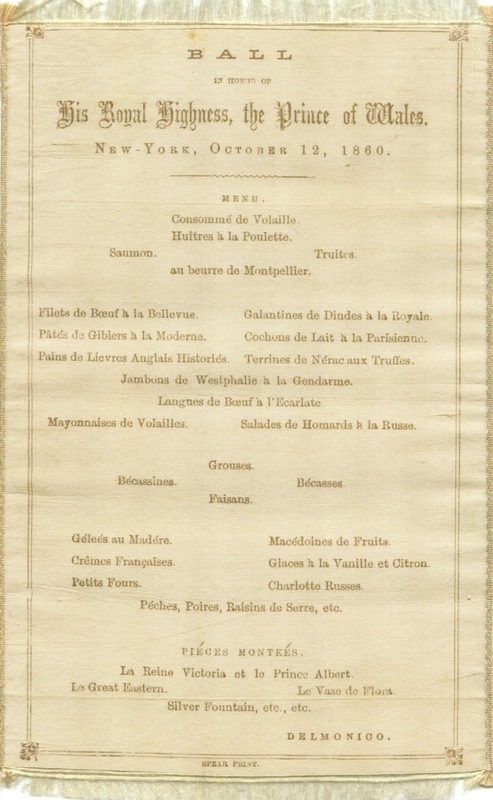 Macaroni, with its unbeatable combination of popularity and low cost, was a mainstay on daily table d’hote menus. It was a favorite of all social classes. Still, its inclusion on this short list of entrées suggests it may have been a food preference of the prince. 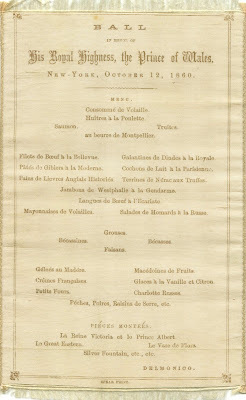 As seen on the previous menu, there are only a few simple desserts, indicating there were no women at either of these hotel dinners. 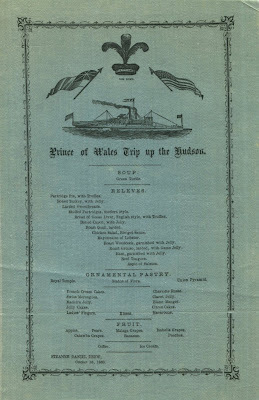 A splendid repast on board was catered by John P. M. Stetson, manager of the Astor House. Stetson’s “greatness as an hotelier was revealed in the 1840s when he oversaw the hotel dining room and kitchens during the period when the Astor House redefined deluxe banqueting,” recounts culinary biographer David Shields.3 The menu below features thirteen salads and relevés, the large joints and birds that were carved at sideboards before being served. 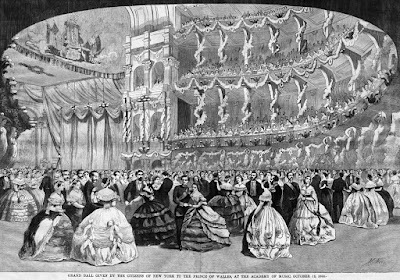 The tables were adorned with three sugar sculptures—the Prince of Wales on Horseback, Windsor Castle, and an English Pavilion. The so-called ornamental pastries were meant to be eaten. It was on this day in Westfield, New York that eleven-year-old Grace Bedell wrote to Abraham Lincoln, advising the presidential candidate that he would look better if he grew a beard. Lincoln answered the letter and shortly thereafter, allowed his whiskers to grow. 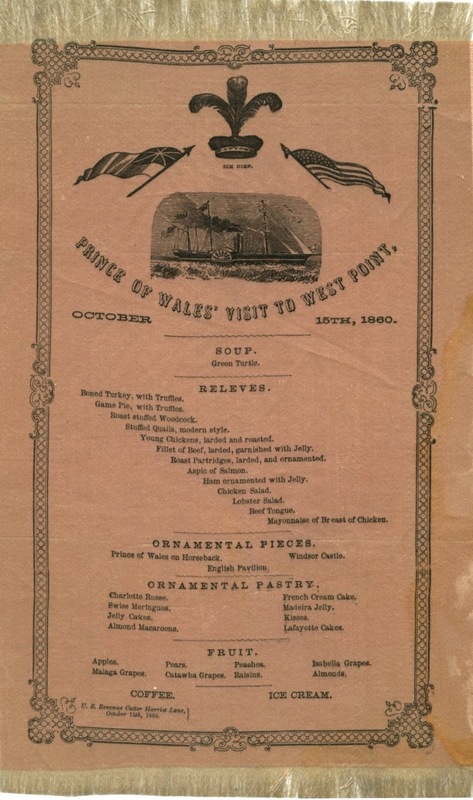 The silk menu below depicts a different side-wheel paddle steamer. 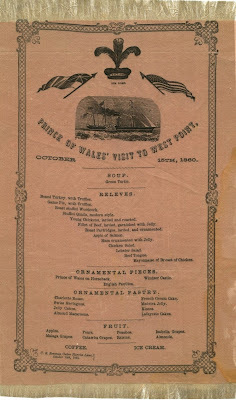 Still, the overall design is the same as the day before, indicating that both menus were printed in New York City and that John Stetson also catered this meal. The bill of fare again offers green turtle soup and about the same array of salads and relevés. The afternoon meal was certainly substantial enough to hold everyone over until the banquet that evening hosted by the state governor. 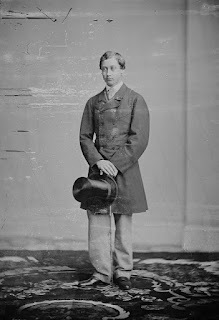 Given all that was laid before Prince Edward, it is not surprising that his 29¼-inch waist would eventually balloon to 48 inches as he gorged and philandered his way through life while waiting to be king. His gluttony earned him the nickname “Tum Tum” although anyone foolish enough to address him that way was banished. While the prince and his entourage were cruising up the Hudson River to Albany, a squadron of the Royal British Navy dropped anchor at Portland, Maine, charged with bringing the future king back home. 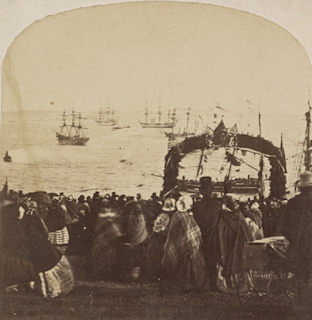 Ironically, their arrival marked the 85th anniversary of the Royal Navy’s previous stopover at Portland in 1775 when it burned the city to the ground during the Revolutionary War.4 The relationship between the two countries, which deteriorated further after the War of 1812, had improved in recent years. The next evening, while the prince was being entertained in Boston, the officers of the fleet were given a municipal banquet at Portland’s City Hall. 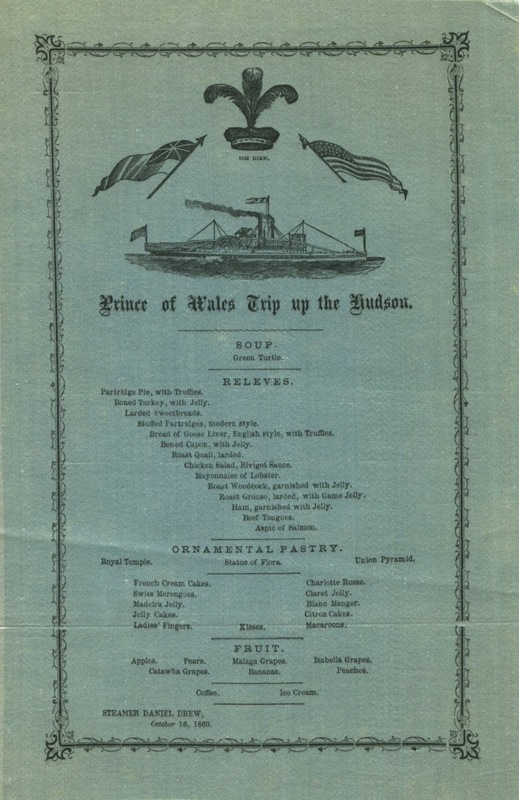 The dinner was catered by R. L. Robinson, renowned for the quality of his ice cream and cakes. The silk menu below features chockolate (sic), vanilla, and strawberry ice creams and a goodly number of cakes. The royal party arrived in Portland on October 20. Two days later, they boarded the battleship H.M.S. Hero, fired a 21-gun salute, and set sail for England, leaving America to its fate. 1. Frederick Marryat, Diary in America, 1839. 2. Chef Gustave Feraud moved from the Revere House in Boston to the Fifth Avenue Hotel when it opened in 1859, most likely at the request of hotelier Paran Stevens, a principal proprietor of both establishments, as well as the Continental Hotel, Philadelphia; Battle House, Mobile; and Tremont House, Boston. 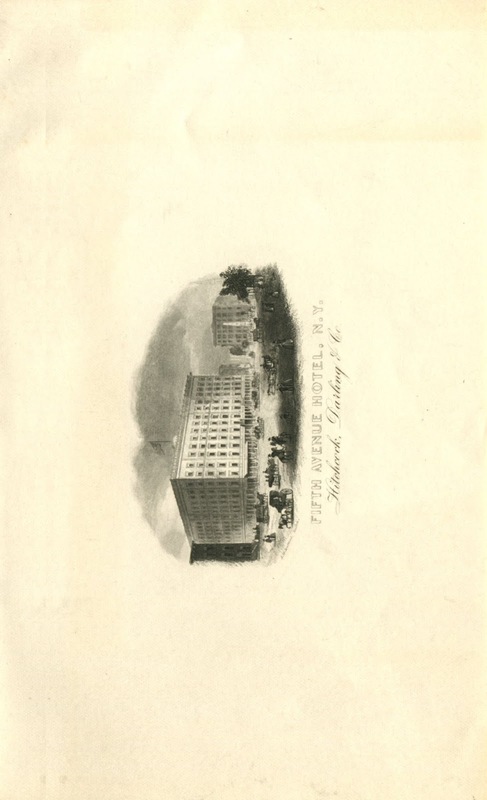 Feraud presided over the kitchen at the Fifth Avenue Hotel for the next thirty years. 3. 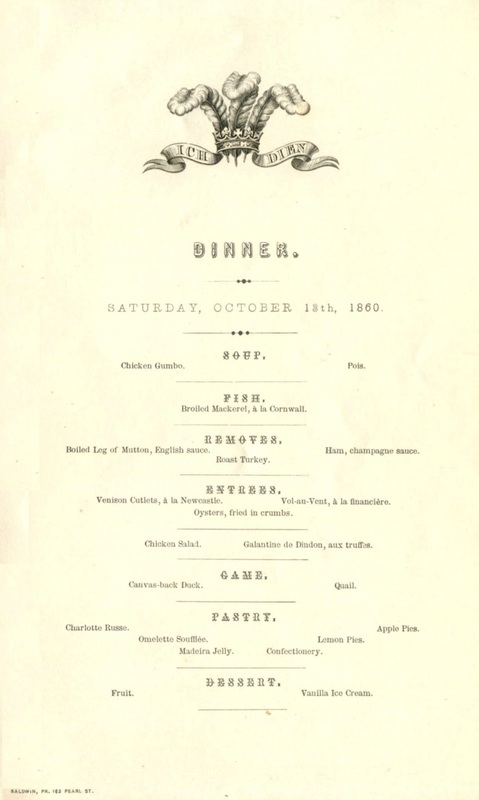 In his earlier role as the steward of the Astor House, John P. M. Stetson “set the menu and organized the greatest hotel banquet of the antebellum period in the United States, the 1841 feast honoring the Prince de Joinville, son of King Louis Philippe, France’s final monarch.” David Shields, The Culinarians, 2017. 4. 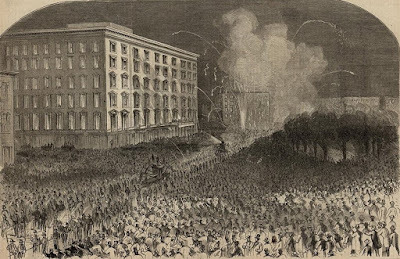 The Burning of Falmouth on October 18, 1775 was an attack by a fleet of the Royal Navy on the town of Falmouth, Massachusetts which is now Portland, Maine, and not to be confused with the modern towns of Falmouth, Massachusetts or Falmouth, Maine. This blog is extraordinary. Thank you for an unique window onto history. Quite a collection! And the many ornamental pyramids of Portland ME! Thank you!! Love this aspect of food and history! Can you sdvise me...find a home for a Lotos Club 50th Anniversary dinner menu, signed by participants. Very interesting...thank you so much!